Purple Parking Heathrow T5 is conveniently located just a short transfer from the check-in at Heathrow's terminal 5. 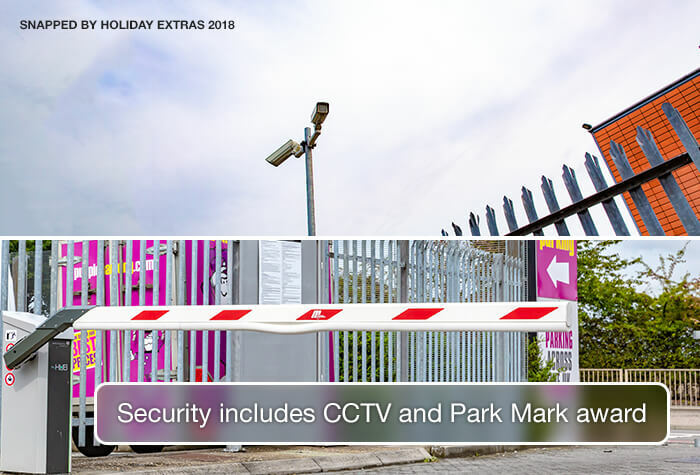 This multi-storey has CCTV and 24-hour patrols, so you won't have to worry about leaving your car behind. What's more, your car will be parked for you so you don't have to worry about finding a space. It's a great option for your Heathrow Parking. 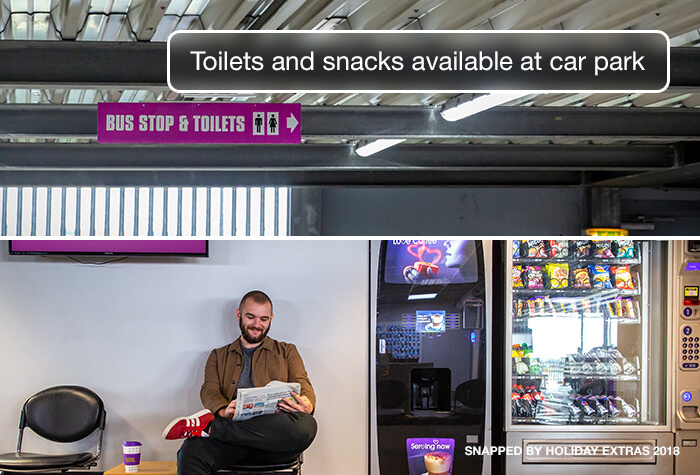 If our Meet and Greet options are something you'd like to consider but you only need it for one part of your journey then Purple Parking Plus might be right up your street. 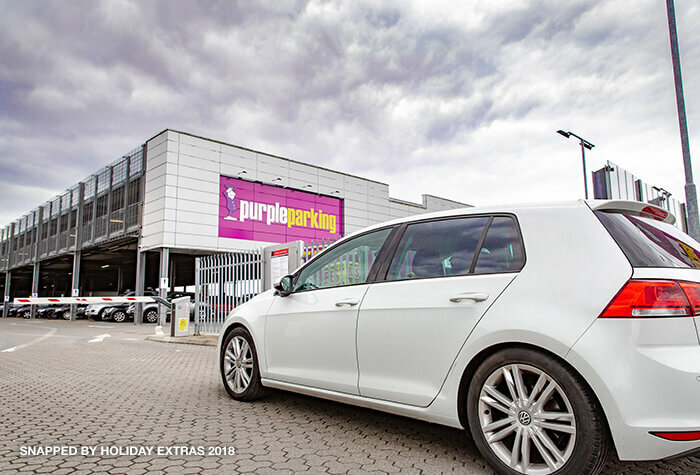 Purple Parking Plus gives you all the perks of having your car parked for you when you arrive at the car park, but as well as that, when you return back to Heathrow, after your long journey, a member of Purple Parking's professional team will be outside of the terminal to meet you with your car. Leaving you free to simply hop in and continue your home. For a little extra, you save a lot of time. Purple Parking is the closest off-airport car park at Heathrow, and its one of the best priced. 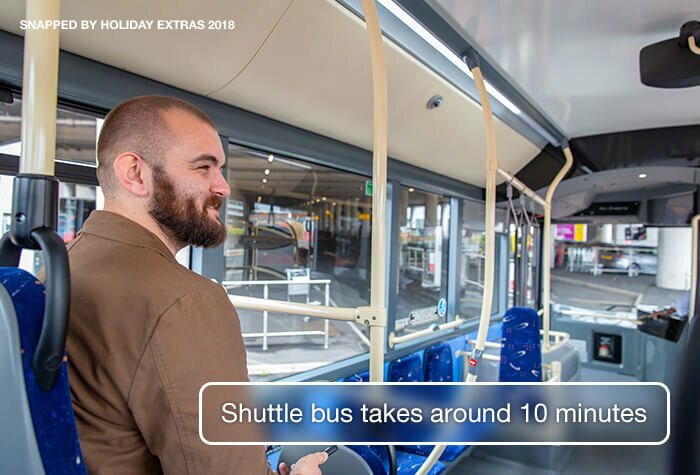 Plus it takes no longer than 15 minutes to reach the terminal on the regular shuttle bus, which is included in the price. Purple Parking is a great, affordable option, with plenty of security to ensure your car is safe while youre away. When you arrive just park in one of the arrivals bays and check your car in at reception. Youll need to leave your keys with them so your car can be moved to the secured area of the car park. Catch the bus to your the terminal from outside reception. It only takes 10-15 minutes and runs every 20 minutes from 3.45am to midnight. Plus its included in the price. When you return catch the bus back to Purple Parking from bus stop 30, pick up your car and head back home. 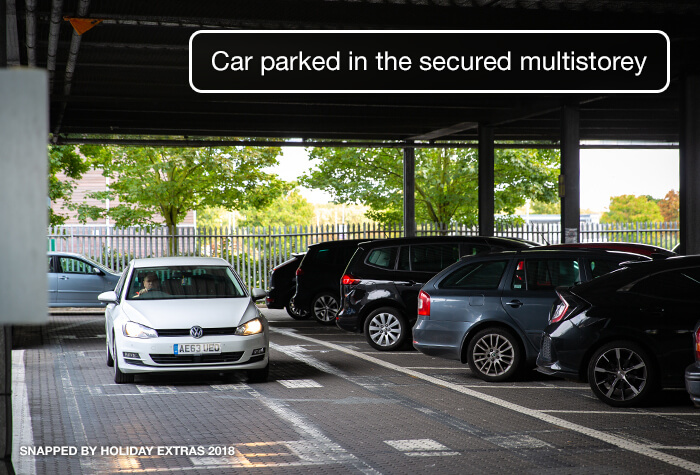 The car park is fully accessible for customers with limited mobility. If youre planning on returning early try and give the car park as much notice as possible so they can have your car ready for you. The car park will accept all vehicles that are 2.15 metres or smaller. Anything bigger will exceed the height restriction. If your car is parked for over 16 days it may be moved to Purple Parking's alternative secured site nearby. 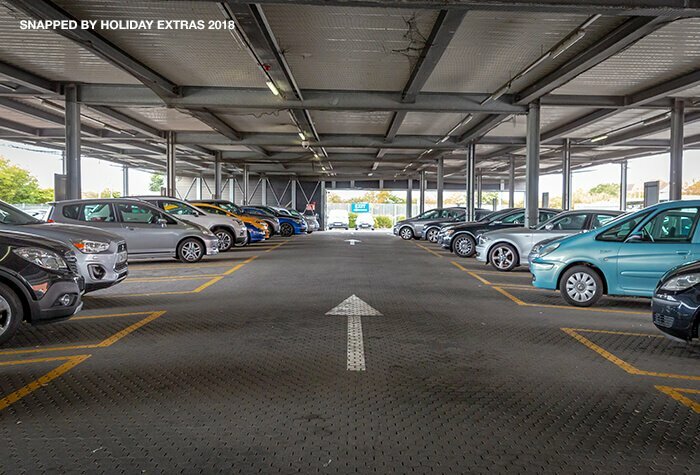 When you reach the car park, drop your car off in an arrivals bay and unload your luggage. 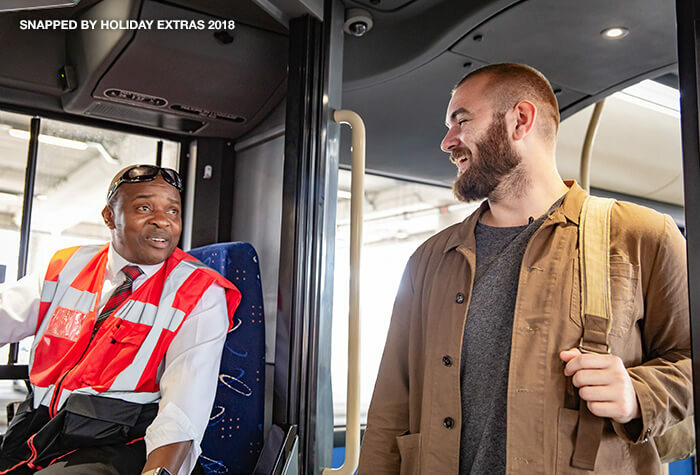 Check in with reception and hand over your keys, then all you need to do is catch the bus that goes to your terminal from the bus stop just outside. If the weathers bad you can wait inside instead. 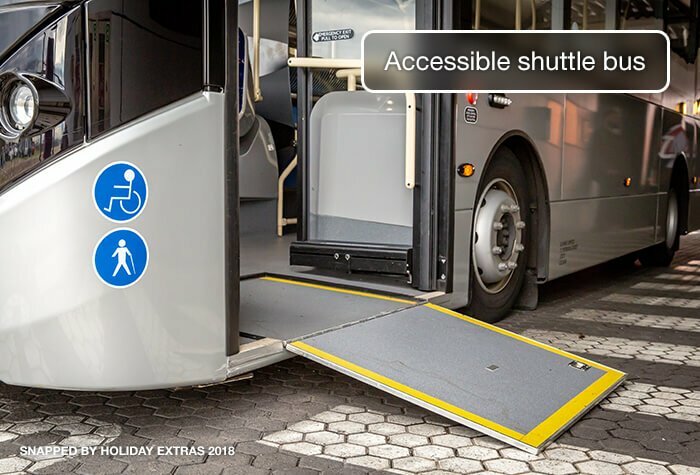 Use of the bus is included in the price. It takes around 15 minutes to reach the terminal, and runs every 20 minutes from 3.45am to midnight. When you return catch the bus from where it dropped you off. 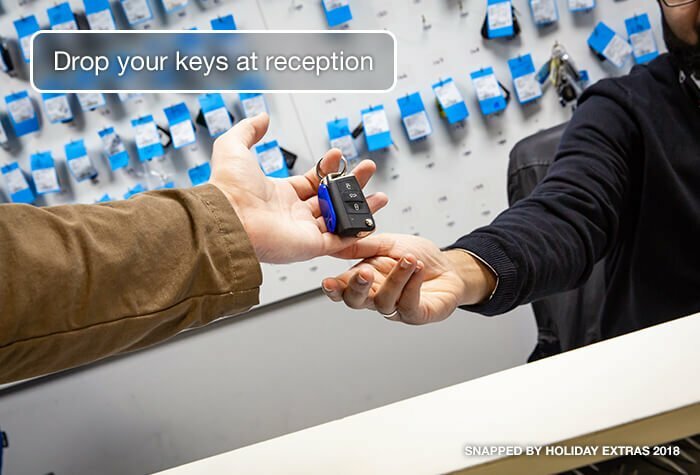 Your car will be waiting in one of the collection bays, so all you need to do is pick up your keys from reception and make your way home. Very smooth and seamless with very helpful and courteous staff. Rather a lot of emails followed the booking. Everything went smoothly with no problems. Quick drop off and collection process at LHR, but accessing car park from M4 spur means a U-turn without traffic lights on the potentially-busy A4 (although at 5:30am this wasn't a problem). Everything went smoothly and as expected. 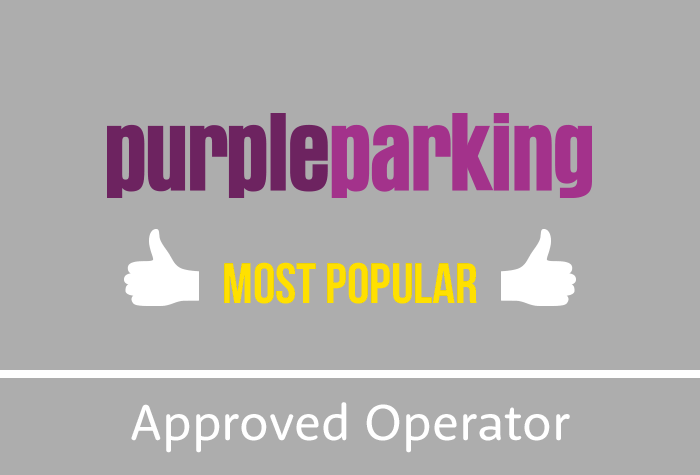 Our customers rated Purple Parking on average 8/10 (2682 reviews). Read Purple Parking reviews.